Regardless of who you may be, if you’re paying a visit to your local casino then your main goal is to try and win as much money as you possibly can, which ultimately requires getting an edge over the house. This is exactly why casino put a lot of effort into stopping the players at their casinos from cheating and trying to gain an upper hand. Whether it is a loaded die or a complex signalling strategy, cunning players will do anything to win more money. Card counting is primarily used when playing Blackjack, and in spite of what you may think, it actually isn’t illegal, nor is it considered cheating. So, if you’re willing to give it a go, fear not because you won’t end up ‘sleeping with the fishes’, despite what many movies will have you believe. We tend to believe a lot of the thing depicted in films, which is probably why most people think it requires a pure genius to do, and probably also why I’ve had a sneaking suspicion the world’s casino industry is responsible for movies like Rain Man, 21 and even the Hangover. 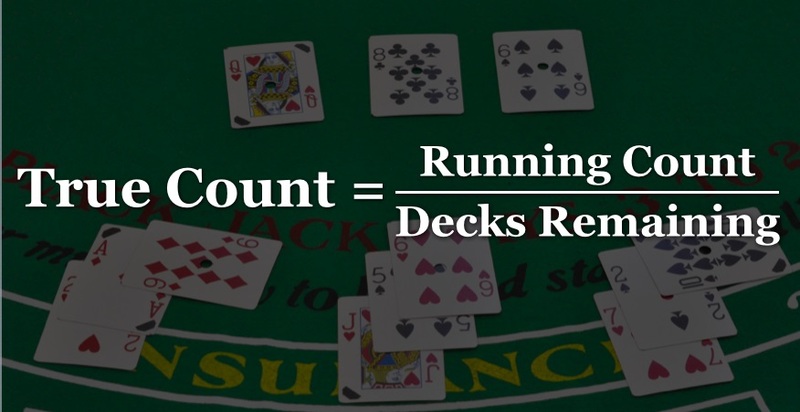 Jokes aside, card counting is a lot easier than you think and it basically requires a decent understanding of Blackjack as well as knowing how to add and subtract. This ultimately means that whether you only find yourself at the Blackjack table from time to time or even if you spend most of your time enjoying the many great online slots Canada has to offer, you have just as much chance counting cards and winning big money as anyone else with a high-school diploma. The best thing to do is practice your Blackjack skills and implement strategies to get a deeper understanding of the game and how to keep track without having to memorise every card drawn. If you know Blackjack, you know that the 10s, the picture cards and the Aces are useful to players, while the lower cards (2-6) will be useful to the dealer because they have to stick with anything over 17 and hit with anything less. The remaining cards, 7, 8, and 9 are considered neutral, as they don’t always benefit the dealer or the player. This essentially means that there is always an even number of desirable and undesirable cards in play, which is where the card counting starts to come into play. We know that every time a card is dealt the number of cards (or shoe) gets smaller, and that there are 20 desirable cards, 20 undesirable cards and 12 neutral cards. So, when trying to become a card counting connoisseur your task is to subtract or add cards from the deck with simple maths, whereby you’ll assign +1 to undesirable cards, -1 to desirable cards and 0 to the neutral cards. The trick thereafter is to take note of whether you are in minus figures then you know you are at a slight advantage and you can place your bets accordingly. It isn’t fool proof in terms of winning, but it certainly increases your chances.